Got a new year’s resolution to get fit this year? Do you want to set yourself a challenge to aim for? 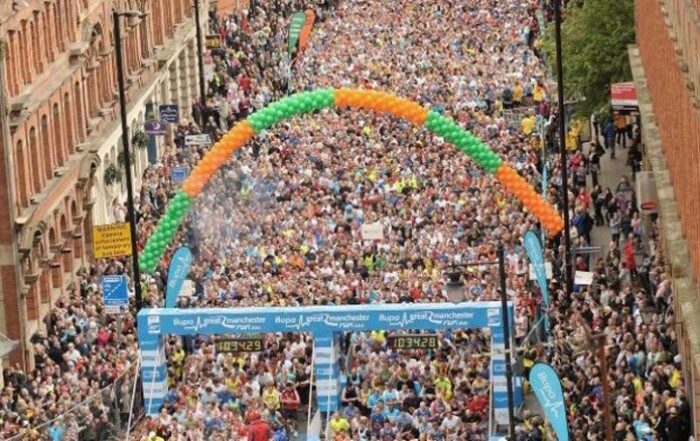 Run the Great Manchester Run and help support us in the process! £60 would pay for one shipment of children’s books (approx. 250 books) to go to rural or slum schools in Bangladesh. £180 could help us keep a trained teacher in the classroom for one month. Running for The No Barriers Foundation could really help us expand our work by allowing us to hire more teachers. The impact this would have on the children we’re seeking to help is immeasurable. By signing up for the run, you can create an event page on JustGiving to ensure any donations reach us securely. If you’re not based near Manchester, there are loads of challenges you could get involved with to raise money for us. Find out more about our latest venture here. « Previous post link Our first teacher!